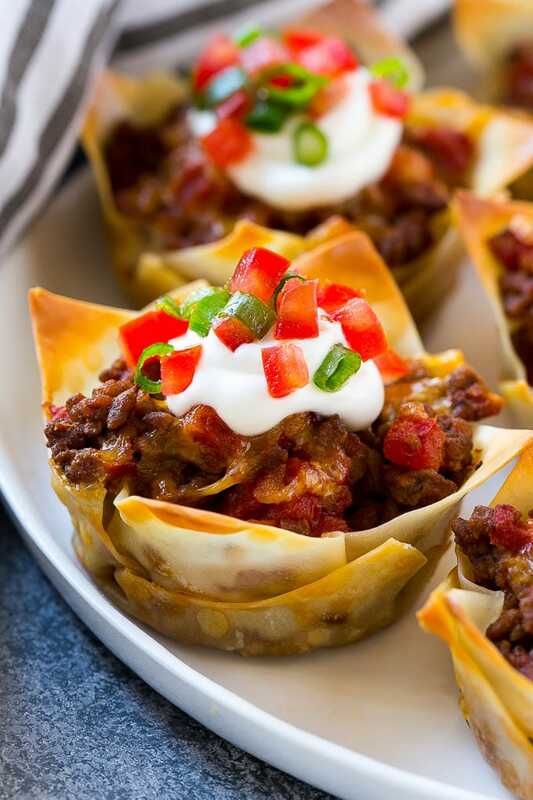 These wonton taco cups are the perfect appetizer or fun twist on taco night! 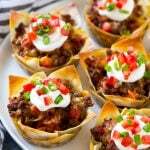 Layers of seasoned beef and cheese are baked in layers of wontons in a cupcake pan, then finished off with your favorite taco toppings. How cute are these taco cupcakes? They’re as much fun to make as they are to eat, and make a delicious and hearty snack for any occasion. Tacos are one of my family’s favorite foods to eat – there are endless ways to mix and match the flavor combinations, and they’re all totally delicious! These taco cups are a fun play on tacos that use wonton wrappers instead of tortillas. The wontons are layered with meat and cheese and baked to crispy, gooey perfection. The first step in making taco cups is to cook up your meat. I use 90% lean ground beef, although ground turkey will also work. The meat is flavored with taco seasoning and a can of petite diced tomatoes. It’s important to use the petite diced tomatoes so that you don’t have giant chunks of tomato in your taco cups. After your meat is ready, it’s time to build your taco cupcakes! 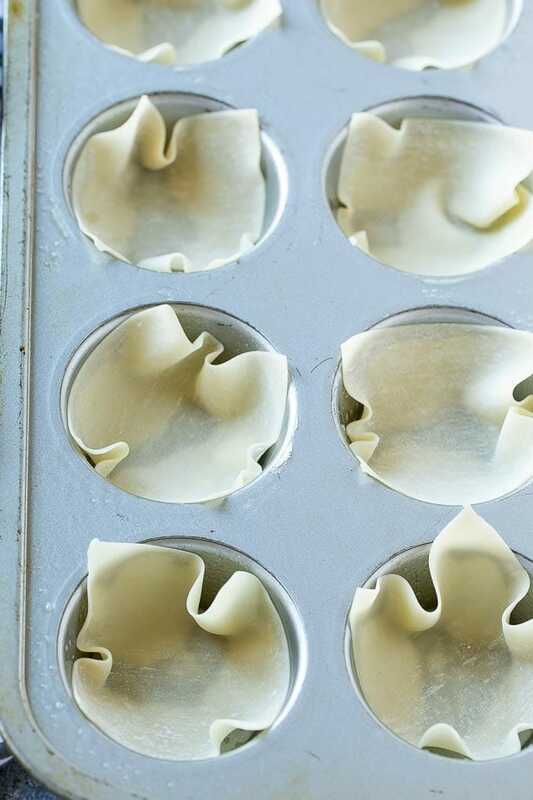 The first layer is wonton wrappers which get pressed into the wells of a muffin tin. After that, you’ll add a layer of meat and shredded cheese. Then you’re going to repeat the process by stacking a second layer of wonton, meat and cheese on top of the first. 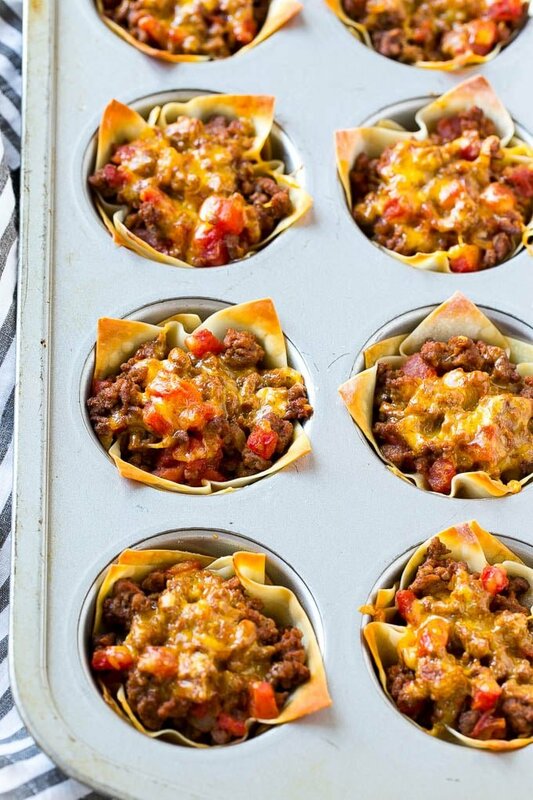 From there the taco cups get baked until the cheese is melted and the wontons are golden brown. You actually can just eat the taco cups as-is from here, but I do like to add a few more toppings. I finish my taco cups with a dollop of sour cream and a sprinkle of fresh tomatoes and green onions. Other great topping choices are diced avocado, chopped cilantro, sliced olives or minced red onion. 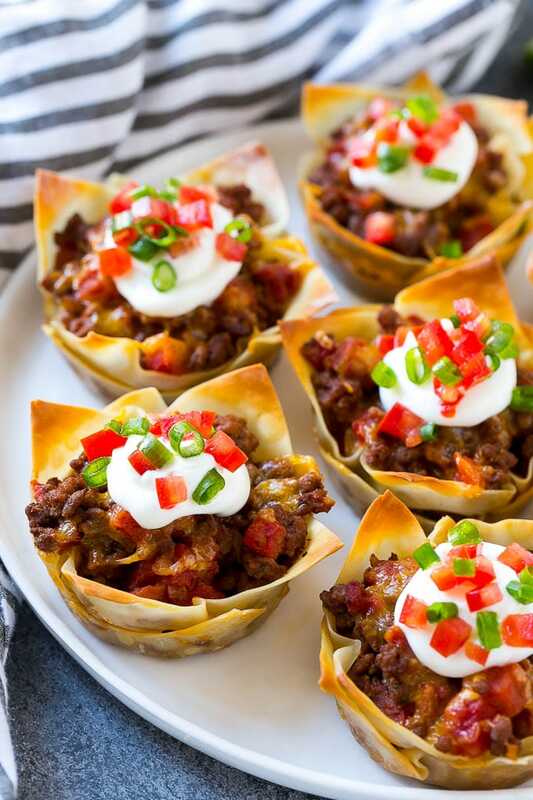 I love that these taco cups feed a crowd, they’re perfect for birthday parties, Taco Tuesday, football parties or just for any time you have a taco craving! Preheat the oven to 400 degrees. Heat the olive oil in a large pan over medium high heat. Add the beef to the pan. Use a spatula to break up the meat, stirring constantly. Add the taco seasoning and salt to taste. You may not need to add salt if your brand of taco seasoning already contains salt. Cook the meat for 4-5 minutes or until cooked through. Stir in the canned tomatoes. Coat a 12 cup muffin tin with cooking spray. Place one wonton wrapper into the bottom of each muffin cup. Spoon approximately 1 tablespoon of meat into each cup and top with approximately 2 teaspoons of cheese. 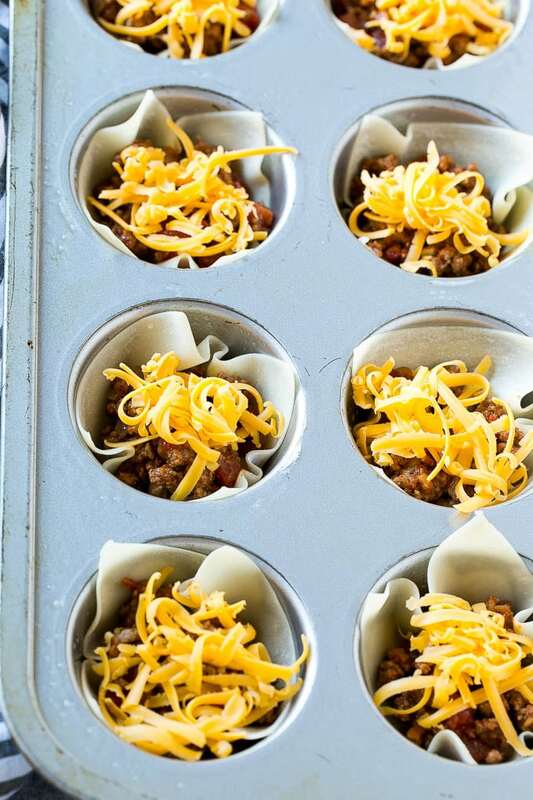 Place a second wonton layer on top of the cheese, then add the remaining meat and cheese across all the muffin cups. Bake for 10-15 minutes or until edges are browned and cheese is melted. Top each taco cup with a small dollop of sour cream and a sprinkle of green onions and tomato, then serve. 93% lean ground turkey may be substituted for the ground beef. I sometimes quarter the won ton skins for mini bite sized muffins. 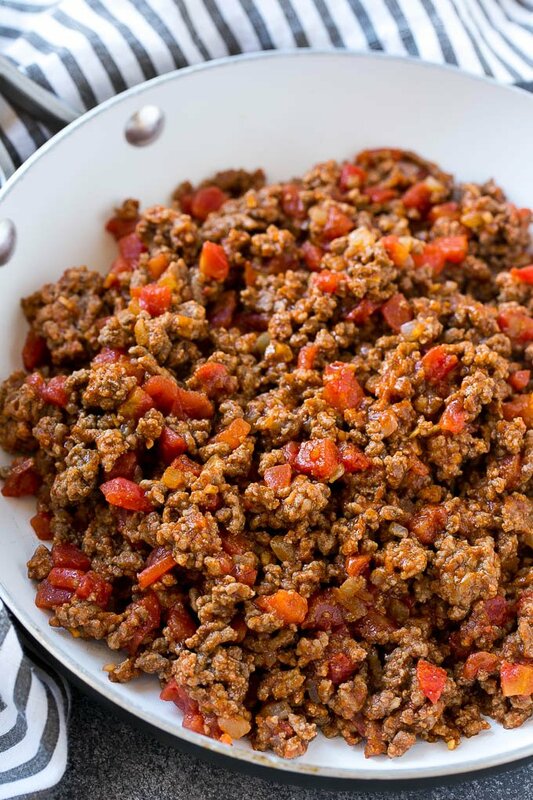 I made them with ground turkey and everyone loved them! Yummy and so easy. Made these today with my grandchildren. 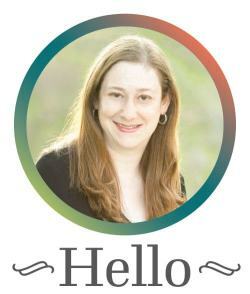 Big hit. They approved this recipe to be put on “Nana’s Summer Camp” menu. 😊. I love so many of your recipes. They are easy, and yummy to even my picky eaters. I made this, but substituted canned chunk chicken breast, and used a Mexican chicken seasoning I found by googling for it. They turned out great and were a hit on New Year’s Eve! I used a 1/4 teaspoon of chicken better than bouillion mixed in 1 cup of warm water, and added it with the Mexican chicken seasoning to three drained cans of the chicken in a pan. I cooked it over medium until the moisture was evaporated and everything was very well mixed, and shredded the chicken breast with the wooden spoon as it was cooking. Other than that I followed the recipe to rave reviews. Will be making this again! Thank you for this recipe! So glad to hear you enjoyed it, I’ll have to try your version next time! Hope it goes over as well with your family as it did for mine. I’d only suggest watching the salt level, that better than bouillon stuff is deceptively potent, I almost ruined the chicken by adding too much (1 teaspoon in the water 😬) and had to get.. creative to get some of the salt out. Want to make as a appetizer in a mini muffin pan. Can these be made ahead? I would need to make about 100 of them. You can assemble them ahead of time, but I wouldn’t bake them until right before you’re ready to serve as the wontons will soften if cooled and reheated. These look yummy! The pics look like they have double wonton wrappers in them but the recipe calls for one wonton wrapper? Did you use one or two? Thanks! The recipe calls for 24 wonton wrappers and makes 12 taco cups, so 2 per cup is correct! Tuesday is get-together night for me & a friend. We are looking for something new to try, this may be it! Looks yummy. These are so cute and look yummy also! Perfect for family dinner. Pass the guacamole!